As your children grow their needs and wants change. As every need and want alter’s you make adjustments. 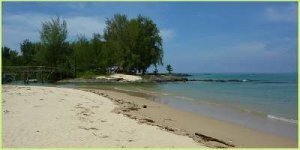 The same applies to what to include on your travel packing list for tweens, it is no longer the same as what you once packed for your toddler or pre-schooler. Tweens are those years where your little one turns into a big kid, yet hasn’t reached those teenage years. These older kids aged between 8 to 12 years are in the pre-teen stage known as tweens. If you’re anything like me, you are learning that your child is turning into quite the big kid. Whilst your older child may not have reached the rebellious and self-sufficient teen, they are becoming more independent and certainly not wanting to have anything attached to themselves that resembles those pre-school years. So when preparing for your family trip you now need to alter your thinking as to what to include in your tweens packing list, making it appropriate for your big kid. So that we can send you the link to your welcome gift of the Tweens Packing List and More Travel Tips please ensure you confirm your email address. This confirmation email may be found in your junk box (Outlook) or updates folder (Gmail). Ask your child to write down what they would like to include in their hand luggage bag or go-to activity bag during a road trip (refer below for items to include). Then ask them to write a list of toiletries, medical items and clothing. Encourage your pre-teen to start the packing process for themselves. 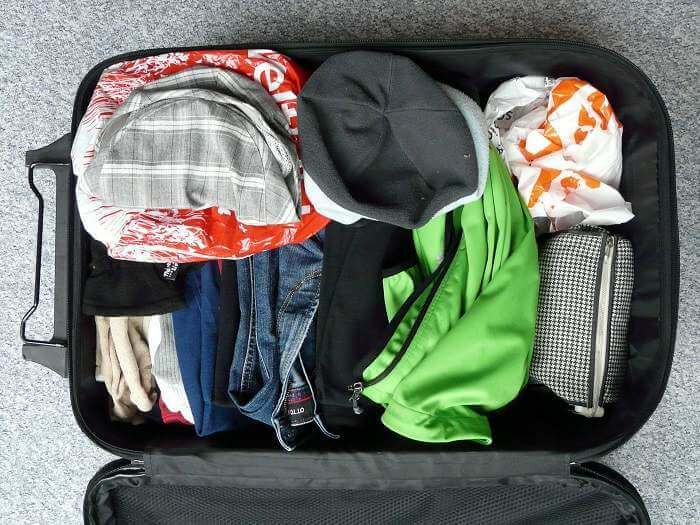 If you are concerned that your child may forget to include something ask them to lay everything out on the bed so you can tick off the list together before they pack their bags. 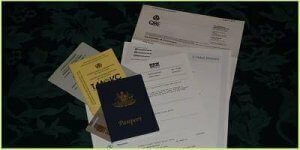 If your older child shows no interest in the travel planning or packing – don’t force it. They are still a child there’s plenty more time to get them to be responsible in their teenage years. Remember it’s meant to be a family trip, not a military exercise. When packing your tweens hand luggage start by getting them their own carry-on bag*. If they had a really cute kiddie bag, it’s time to upgrade – either they are now too tall to reach the handle or it looks too “baby”. Try to find something cool and funky that will take them well into their teenage years. Depending on your child’s personality you may want to choose either a day backpack or a roll on cabin bag. You’ll find more tips on choosing new luggage HERE. Prior to purchasing new carry-on luggage don’t forget to check luggage dimensions allowed on your airline. The actual individual choices for these come down to your child’s personal preferences. Try to stick to a few similar tactics you used when you packed for your baby or toddler. Buy a new book, activity books and even a toy just all age appropriate. I really like these kids guides by Family Travel Scoop. 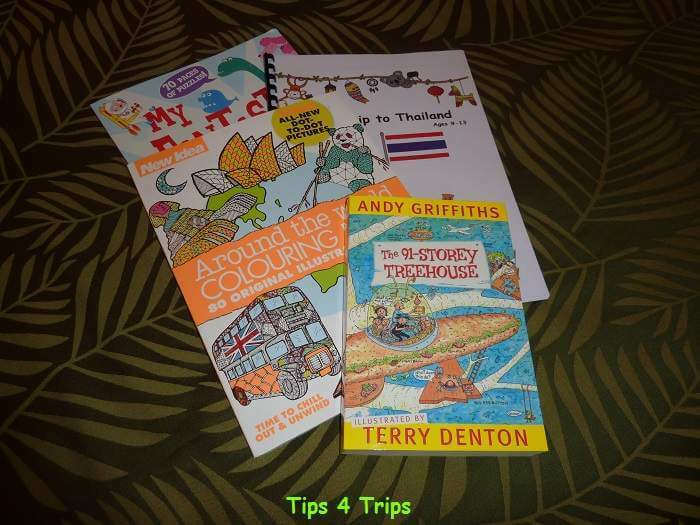 They are specifically designed for kids aged 9-13 years (there are younger versions as well) with facts and activities on your destination country. Just because your child is getting older doesn’t necessarily mean the “I’m hungry’s” and anxieties have stopped. Pack a few kids essentials to get you through those moments. Possibly hygiene products for your girl. I wish to thank Traveling Mom for this suggestion. I don’t have a girl and hadn’t thought of this situation without her forethought. Any other extras like tissues and antibacterial wipes I would probably include in your own hand carry for all the family to use. Think of the carry-on bag as the go-to activity bag with a few extras for flights or road trips. A clothing packing list for tweens. When packing clothing for a trip I like to pack a maximum of one week’s worth of clothing. If travelling for longer you can either locate a laundrette or hand wash – oh the joys of travel. Shoes take up a lot of space in your travel packing so try to limit the amount you pack. Shoes are also dirty so wrap them in plastic bags or special travel packing cubes*. Special activity gear refers to outfitting your child for specific activities or functions you will be attending whilst away. For a cheap alternative to packing cells/cubes use ziplock bags to organise your travel packing and keep items clean and safe. 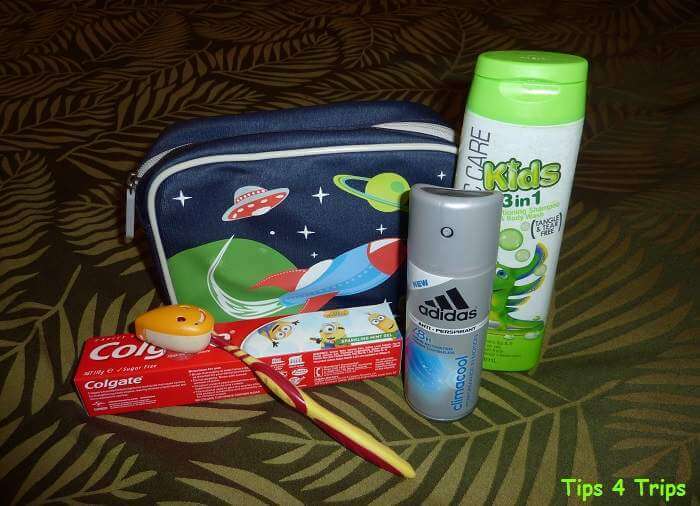 When starting out with packing toiletries for your tween you may want to get your child their own toiletry bag*. Again something fun and funky. Remember that the toiletry bag should be packed into your check luggage as many items cannot be taken on board a flight for security reasons. 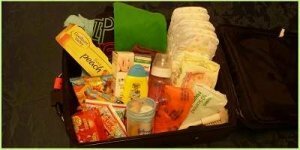 Sanitary items for girls – even if your girl hasn’t started yet, it may be wise to have a small pack just in case. Don’t forget many of these items can be shared either with siblings if not the entire family. By packing only one tube of toothpaste, one set of shampoo and conditioner bottles can help you to pack lighter as a family. Sadly family trips are rarely event free. There’s usually some sort of cut, scape or just a headache eventuates. 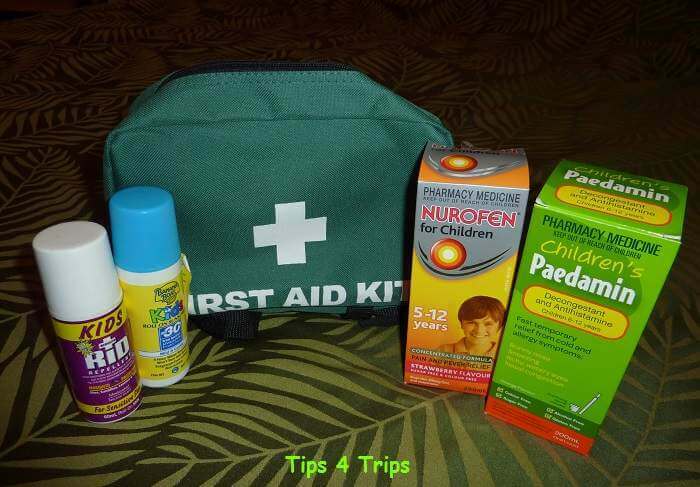 I would highly recommend that as a family you pack an essential first aid kit. However, there are a few extra medical items to pack just for your tween as many of these items need to be age appropriate. If taking prescription medication to ensure to include a copy of the script or letter from your doctor. Remember packing for your tween for a family vacation doesn’t have to be extra tricky. 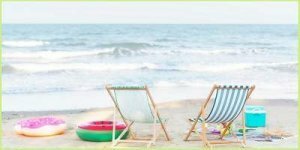 It’s just a few extra age appropriate items to include onto your general trip packing list plus choosing activities that suit YOUR child. Don’t forget to grab a copy of the free printable download of the tweens packing list so your pre-teen can start their own trip packing. 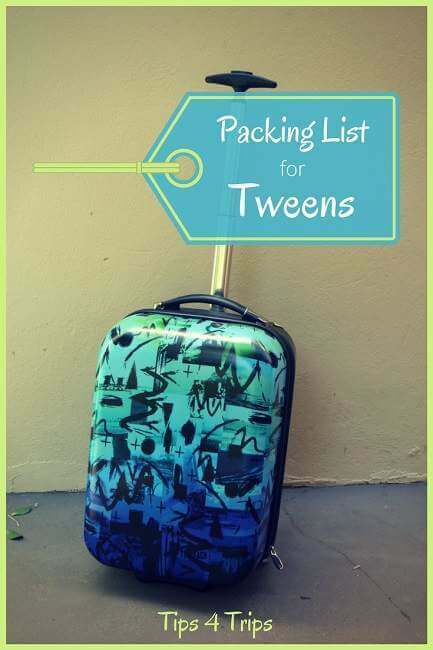 Don’t forget to confirm your email address so we can send you the tweens packing list. This confirmation email may be found in your junk box (Outlook) or updates folder (Gmail).